Francesco Ripanti is a 27-year-old archaeologist from Italy with a passion for video storytelling. 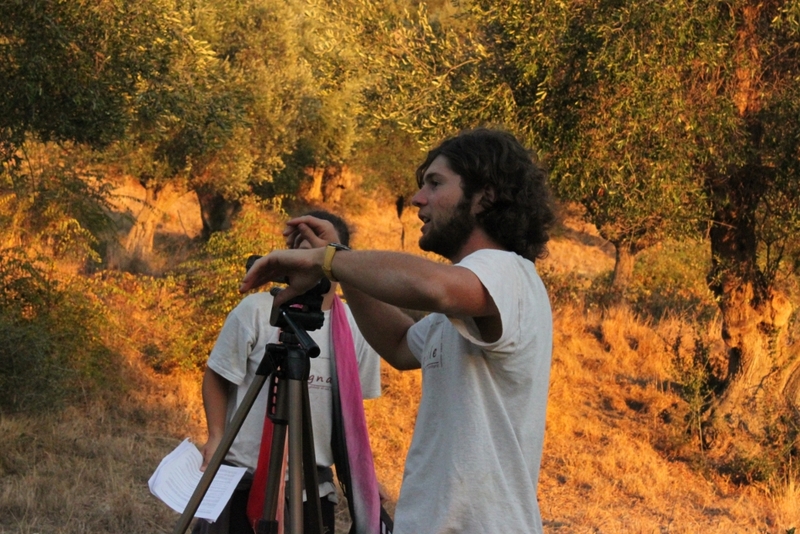 Francesco thinks video is a very engaging medium for the communication of archaeology, especially for telling stories to the general public from the archaeologists’ point of view. No, I don’t work in a museum. Currently, I’m attending a two year post-lauream specialization course at the Universities of Trieste, Udine e Venezia. I graduated from the University of Siena in 2011 with a thesis about video-narration in archaeology. During my five years of study, I directed some docu-dramas and other kinds of video in the Roman mansio of Vignale (LI, Italy) that are available on YouTube. During my first year of post-lauream, I did a two month internship at the National Archaeological Museum of Marche, which is the region in Italy where I live. I choose two moments. The happiness of having the possibility of blogging for the museum and the consequent mission in creating the blog. Once the blog was online, the good response of the public makes me proud of my efforts. The name of the blog is simply “Il blog del Museo Archeologico delle Marche”. I’ve been blogging since March 2013. In the first days of my internship, I proposed to my tutor, dott.ssa Nicoletta Frapiccini, to create a blog for the museum, in order to improve its communication. Museum blogging in Italy is not a very popular way of communicating (see Museo Archeologico Nazionale di Venezia, one of the few examples of a museum blog). However, my internship would last only two months. But we decided to try the same. I blogged about the daily activities and the main events of the museum during my internship and when I concluded it other trainees have kept on blogging and now I blog too, when I have some spare time. Have you ever regretted a blog post? No, I’ve never regretted a blog post. Sometimes I think I could write it better. I really don’t know and not even have an idea. In Italy it’s very difficult to find a job both in museums and as archaeologist. It’s also very difficult to answer this question. I think that Italian museum system has to undergo deep reforms and changes if we want to compete with the other European museums and if we want to propose to the public an engaging and modern museum. Pull engaging stories out of the pieces the in your museum displays. Thanks for participating in Meet a Museum Blogger, Francesco! In case you missed it, Francesco blogs at Il blog del Museo Archeologico delle Marche. Do you have additional questions for Francesco regarding his profile above? Feel free to start a conversation in the comments below. Tags: communication of archaeology, Francesco Ripanti, Il blog del Museo Archeologico delle Marche, Italy, Museo Archeologico delle Marche, Museo Archeologico Nazionale di Venezia, University of Siena. Bookmark the permalink. Il blog del Museo Archeologico delle Marche è stato protagonista dell’intervista al blogger del museo Francesco Ripanti in un’intervista al sito americano Museum Minute.